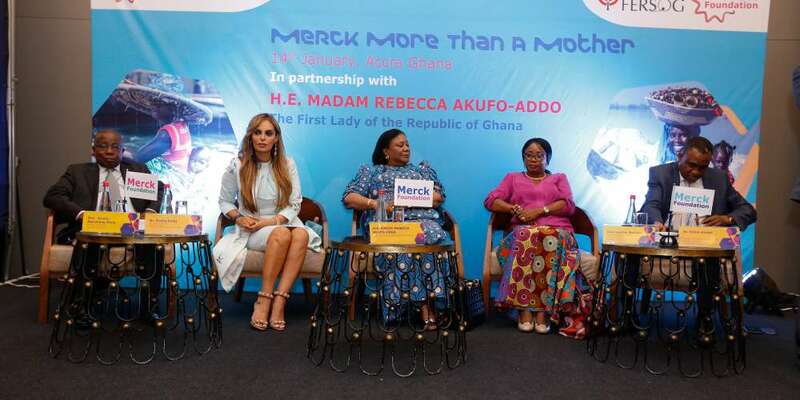 Merck Foundation, the philanthropic arm of Merck Germany launched their programs in partnership with The First Lady of Ghana, H.E. 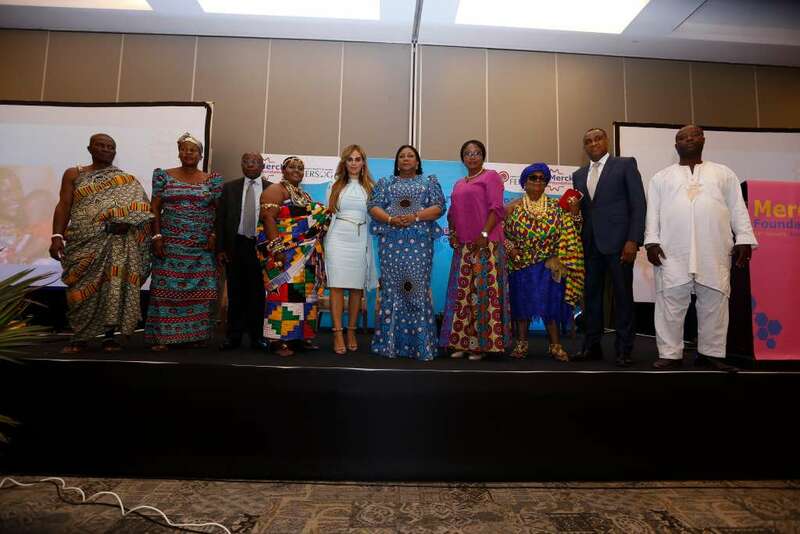 REBECCA AKUFO-ADDO to underscore their commitment to build healthcare capacity in the country and to finalize discussions about Merck Foundation’s annual conference 6th Edition of “Merck Africa Asia Luminary” to be co-chaired by Dr. Rasha Kelej, CEO of Merck Foundation and The First Lady of Ghana, H.E. REBECCA AKUFO-ADDO in Accra, Ghana on 29th -30th October 2019. During the launch event, Merck Foundation also awarded Her Excellency to acknowledge her efforts as “Merck More Than a Mother” Ambassador in the country. During the conference steering committee meeting, many new programs were finalized and launched in partnership with the Ministry of Health of Ghana. 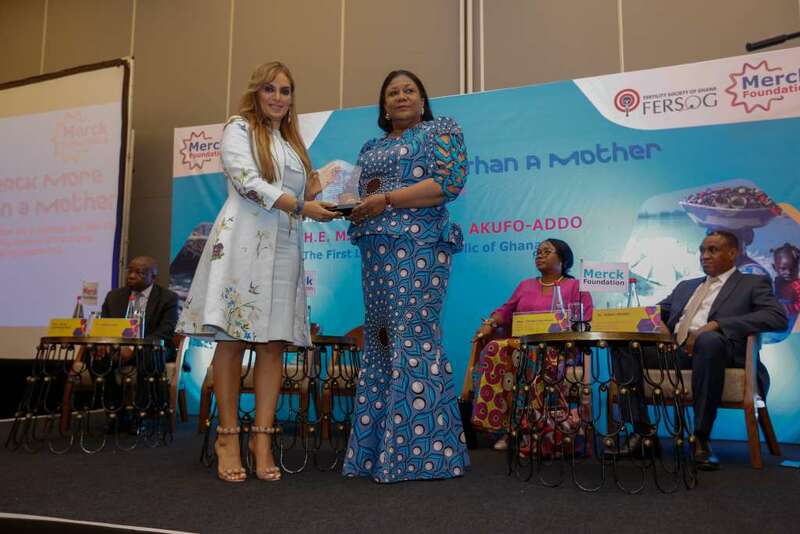 “We are very happy to award Her Excellency First Lady of Ghana, REBECCA AKUFO-ADDO for her great efforts to empower infertile women as the ambassador of Merck More than a Mother. We have also underscored our long term partnership with her Foundation and Ministry of Health of Ghana to continue building healthcare capacity and train doctors in the fields of Diabetes, Hypertension, Fertility and cancer care. Our aim is to improve the health and wellbeing of people of the continent”, emphasized Dr. Rasha Kelej, CEO of Merck Foundation. 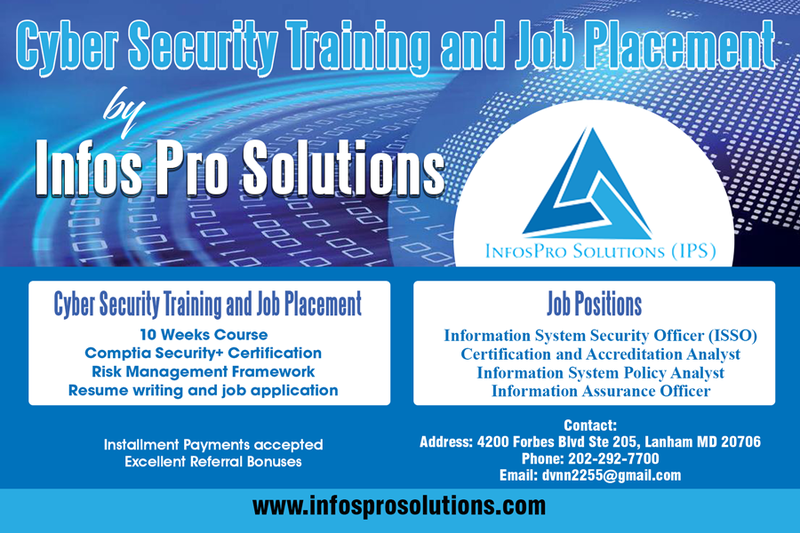 “We are thankful to H.E. REBECCA AKUFO-ADDO for hosting Merck Africa Asia Luminary, the annual conference of Merck Foundation. It will be attended by more than 1000 healthcare providers, policy makers, academia and researchers from over 60 African and Asian countries. The objective is to improve disease management, early detection and prevention, build healthcare and scientific research capacity and improve access to quality and equitable healthcare solutions across Africa and Asia.” added Dr. Kelej. The 5th Edition of Merck Africa Asia Luminary was presided by The President of Senegal, H.E. 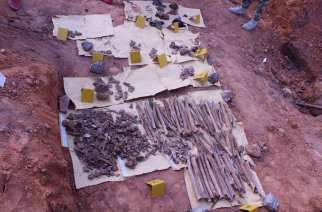 MACKY SALL in Dakar, Senegal. 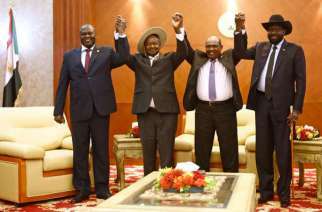 It was also attended by 09 African First Ladies and 12 Ministers of Health. More than 1000 African healthcare providers from more than 60 countries benefited from several medical education sessions. Dr. Rasha Kelej, CEO of Merck Foundation & President Merck More than A Mother, together with H.E. REBECCA AKUFO-ADDO, The First Lady of Ghana & Merck more than a Mother Ambassador also conducted a special meeting with more than 100 Ghanaian infertile women to soft launch Merck more than a Mother campaign through identifying their needs and challenges and work on a concrete strategy to break the stigma of infertility through art, media as an effective tool to raise awareness about this sensitive topic. Moreover, to identify interventions to build fertility care capacity in the country so that every infertile couple would eventually have access to information, healthcare and change of mindset. They both pledged to support this cause through innovative idea that engages all sectors to create a culture shift and make a great impact in a short time. “Few initiatives to get the desired culture shift include announcing the Merck more than a Mother Media Recognition Award and Media Health Training in partnership with Ghana Journalism Society. Creating songs and movies in partnership with Ghanaian artists to address this topic and educate people across the country which will require supporting film making industry and students of the National Film and Television Institute in Ghana. Also, involving fashion industry to deliver the message of breaking the stigma of Infertile women to the community in day to day life which will be achieved through supporting the young fashion designers and student of Ghana Fashion Academy to come up with innovative ideas to reach youth” Dr. Rasha Kelej added. Merck foundation has provided clinical training on fertility specialty in the past two years and will continue this program in partnership with ministry of health to improve access to quality and equitable fertility care in the country. Merck Foundation will also continue enrolling doctors from Ghana in their two year oncology fellowship program and master degree as a contribution to improve cancer care in the country. Merck foundation has also provided five Ghanaian doctors with one year diabetes and hypertension diploma and will continue to enroll more doctors in the next five years. “Merck More Than a Mother” initiative aims to empower infertile women through access to information, education and health and by changing mind-sets. This powerful initiative supports governments in defining policies to enhance access to regulated, safe and effective fertility care. It defines interventions to break the stigma around infertile women and raises awareness about infertility prevention and management. In partnership with academia, ministries of health and international fertility societies, the initiative also provides medical education and training for healthcare providers and embryologists to build and advance fertility care capacity in Africa and developing countries. With “Merck More than a mother”, we have initiated a cultural shift to de-stigmatize infertility on all levels: By improving awareness, training the skills of local experts, building advocacy in cooperation with decision makers and by supporting childless women in starting their own small business. It’s all about giving every woman the respect and the help she deserves to live a fulfilling life, with or without a child. Along with the First Lady of Ghana, H.E. 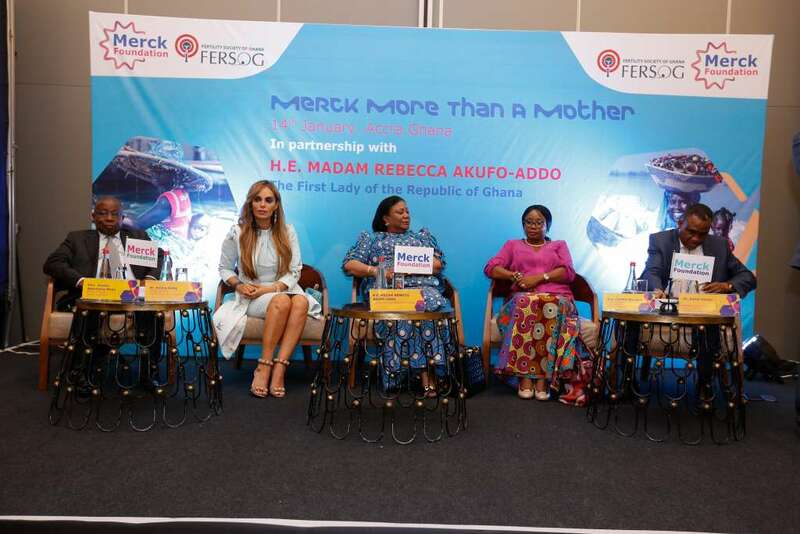 REBECCA AKUFO-ADDO, following First Ladies are also the Ambassadors of “Merck More Than a Mother”; H.E. NEO JANE MASISI, The First Lady of Botswana; H.E. DENISE NKURUNZIZA, The First Lady of the Republic of Burundi; H.E. 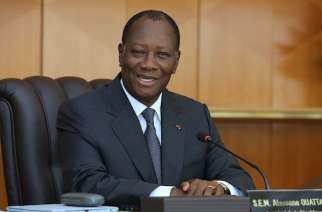 BRIGITTE TOUADERA, The First Lady of Central Africa Republic; H.E. HINDA DEBY ITNO, The First Lady of Chad; H.E. DJÈNÈ CONDÈ, The First Lady of Guinea-Conakry; H.E. FATOUMATTA BAH BARROW, The First Lady of Gambia; H.E. AISSATA ISSOUFOU MAHAMADOU, The First Lady of Niger; H.E. FATIMA MAADA BIO, The First Lady of Sierra Leone and H.E. ESTHER LUNGU, The First Lady of Zambia. Also, part of the campaign is our Merck Embryology & Fertility Training Program, a three-month hands-on practical course in partnership with IRSI, Indonesia, IIRRH, India and Manipal Academy of Higher Education (Manipal University), India to establish the platform of fertility specialists across Africa and developing countries. Merck Foundation provided for more than 84 candidates, in clinical and practical training for fertility specialists and embryologists in more than 29 countries across Africa and Asia such as: Chad, Niger, Central African Republic, Cote D’Ivoire , Ghana, Ethiopia , Uganda, Kenya, Tanzania , Zambia , Nigeria, Benin, Mali, Burkina Fuso, Senegal, Guinea Conakry, Sierra Leone, Liberia, Cameron, Rwanda, Botswana, DR Congo , Congo Brazzaville, Gambia , Nepal, Sri Lanka, Bangladesh, Myanmar and Cambodia. Merck Foundation is making history in many African countries where they never had fertility specialists or specialized fertility clinics before ‘Merck More Than a Mother’ intervention, to train the first fertility specialists such as; in Sierra Leone, Liberia, The Gambia, Niger, Chad, Guinea, Ethiopia and Uganda. The Merck Oncology Fellowship Program, a key initiative of Merck Cancer Access Program, focuses on building additional capacity through medical education and training. The lack of financial means is not the only challenge in Africa and developing countries, but a scarcity of trained health care personnel capable to tackle the prevention, early diagnosis and management of cancer at all levels of the health care systems is even a bigger challenge. Merck Oncology Fellowship Program focuses on building professional cancer care capacity with the aim to increase the limited number of oncologists in Africa and Developing countries. The program provides One-year fellowship program at Tata Memorial Centre – India, One and half-years Oncology Fellowship programs at University of Malaya – Malaysia, Two years Oncology Fellowship Program at University of Nairobi – Kenya and Two years Master degree in Medical, Surgical, Pediatric and Radiation Oncology at Cairo University – Egypt, in partnership with African Ministries of Health, Local Governments and Academia. Launched in 2016, over 43 candidates from more than 21 African countries have rolled in the Merck Oncology Fellowship Program. The program will continue to build cancer care capability in African countries such as Botswana, Cameroon, CAR, Chad, Ethiopia, Gambia, Ghana, Guinea, Liberia, Mauritius, Namibia, Niger, Nigeria, Rwanda, Senegal, Sierra Leone, Tanzania, Uganda and Zambia. The Merck Foundation (www.Merck-Foundation.com), established in 2017, is the philanthropic arm of Merck KGaA Germany, aims to improve the health and wellbeing of people and advance their lives through science and technology. Our efforts are primarily focused on improving access to innovative healthcare solutions in underserved communities, building healthcare and scientific research capacity and empowering people in STEM (Science, Technology, Engineering, and Mathematics) with a special focus on women and youth. All Merck Foundation press releases are distributed by e-mail at the same time they become available on the Merck Foundation Website. Please go to www.Merck-Foundation.com to read more and/or register online to interact and exchange experience with our registered members. Founded in 1668, Merck is the world’s oldest pharmaceutical and chemical company. The founding family remains the majority owner of the publicly listed corporate group. Merck holds the global rights to the Merck name and brand. The only exceptions are the United States and Canada, where the company operates as EMD Serono, MilliporeSigma.